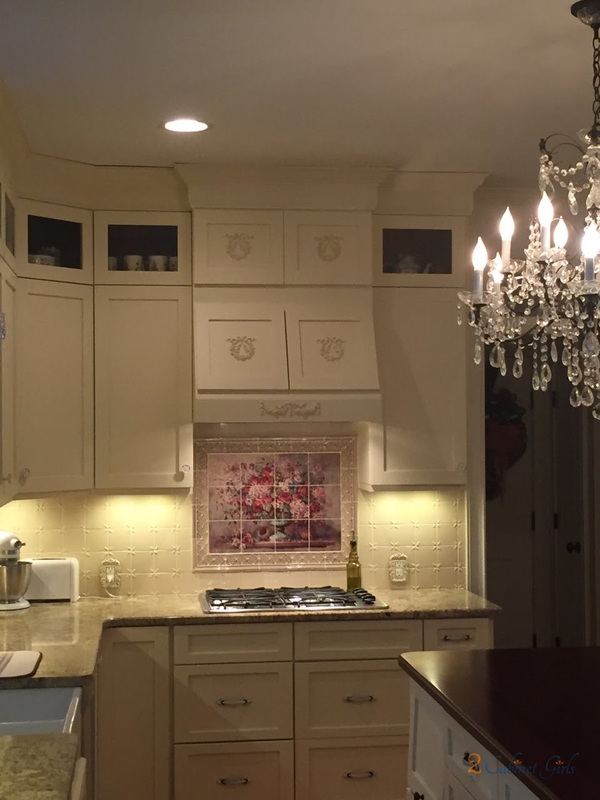 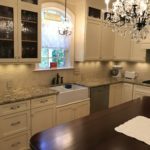 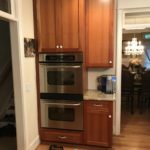 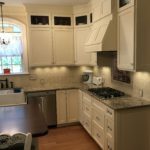 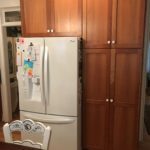 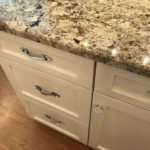 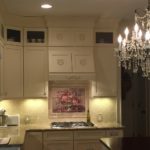 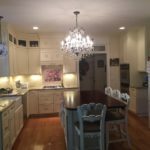 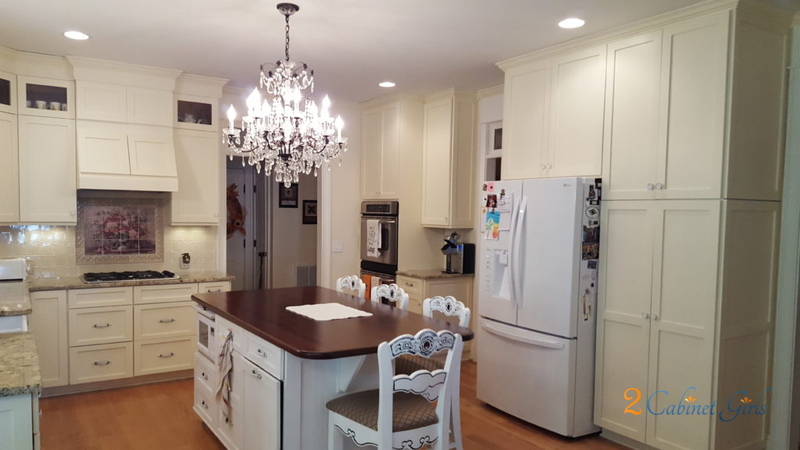 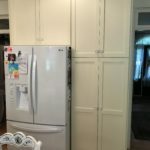 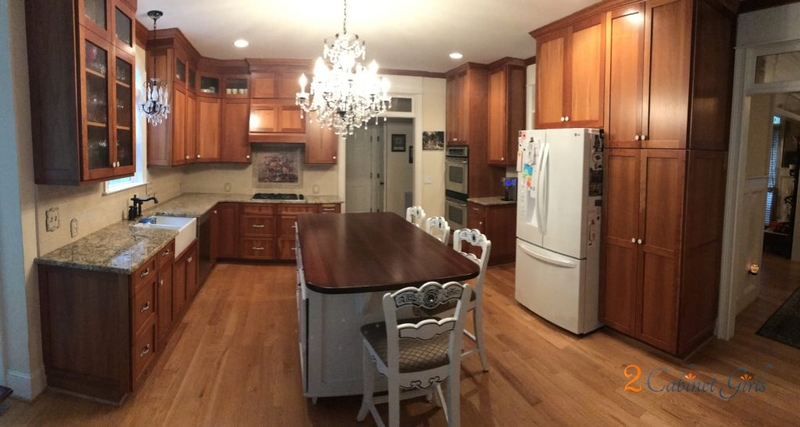 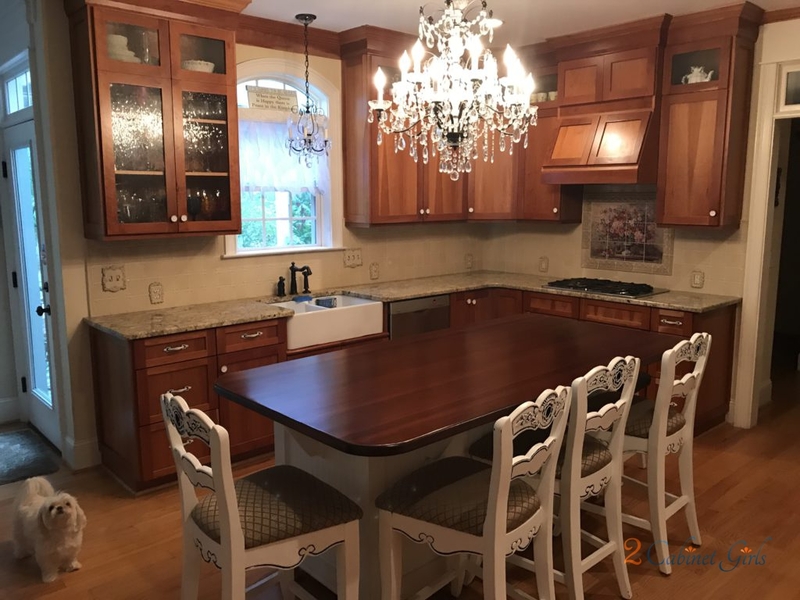 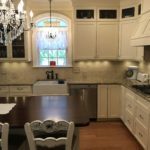 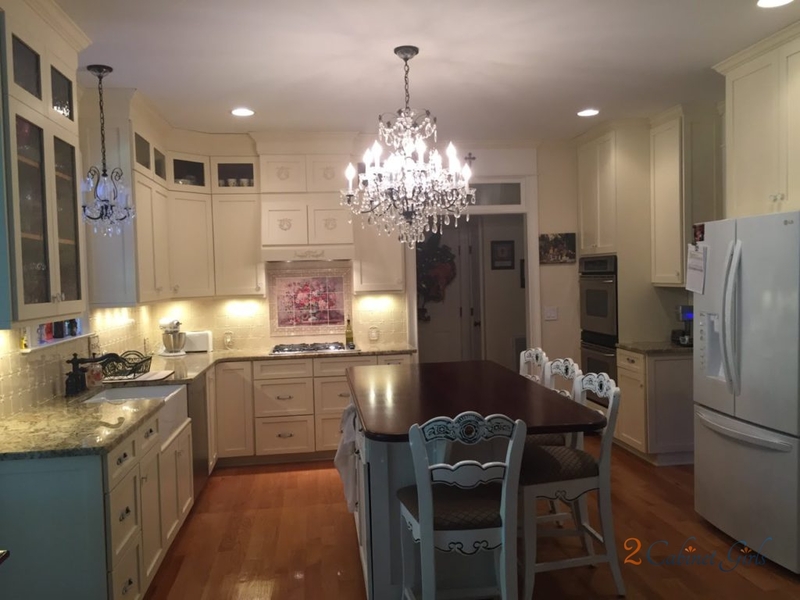 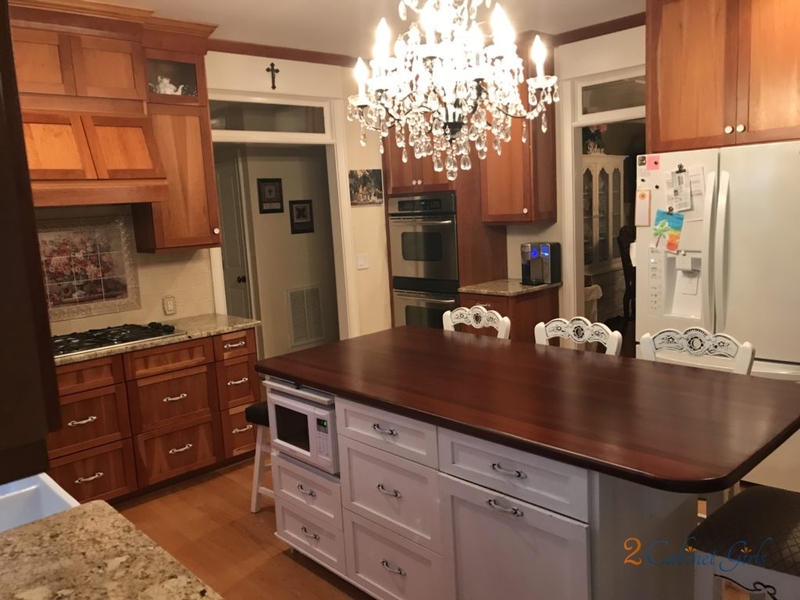 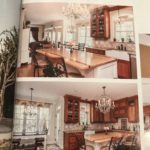 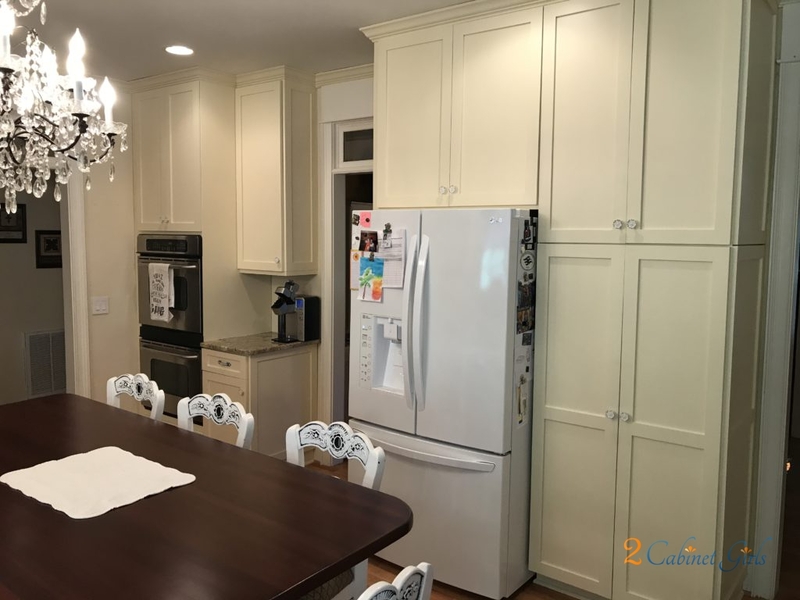 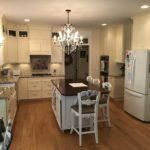 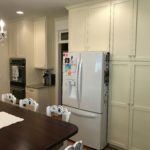 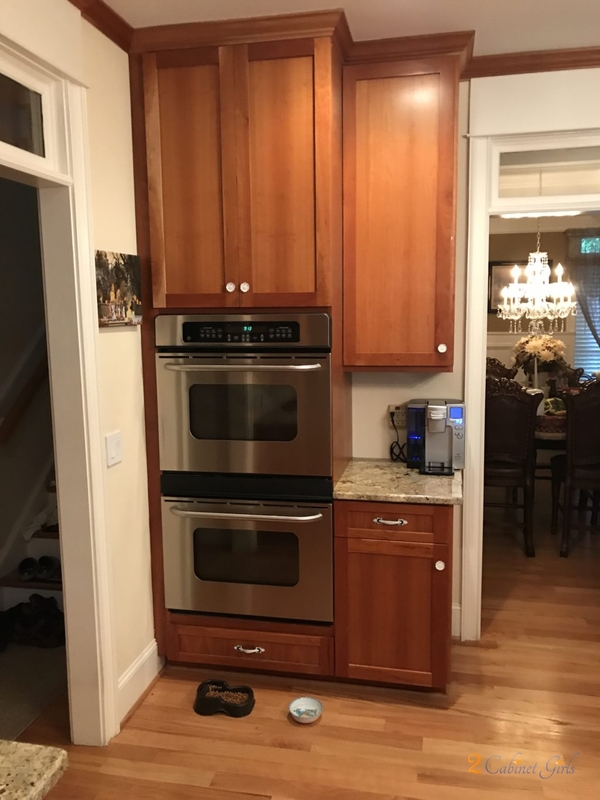 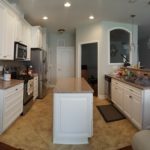 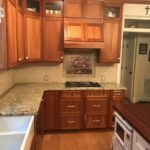 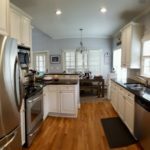 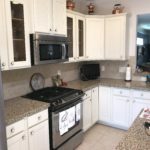 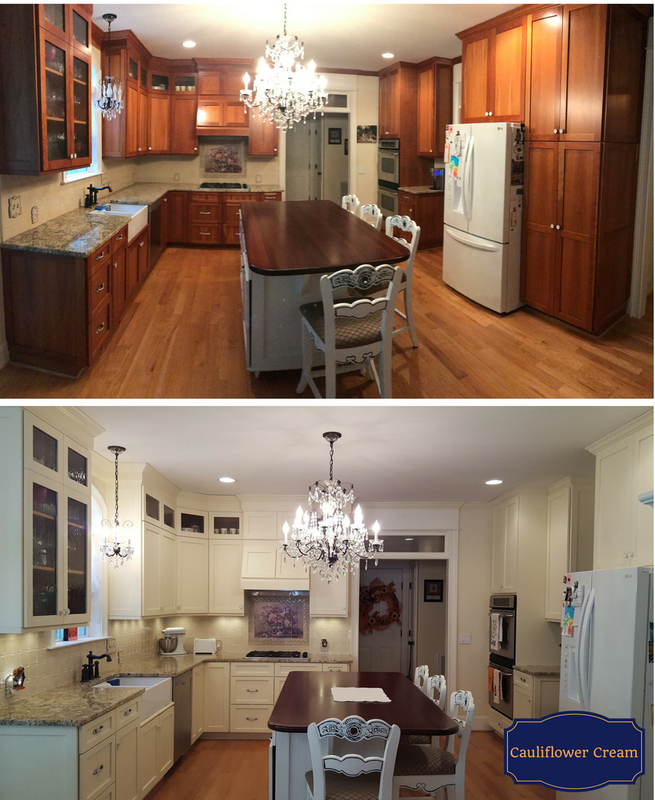 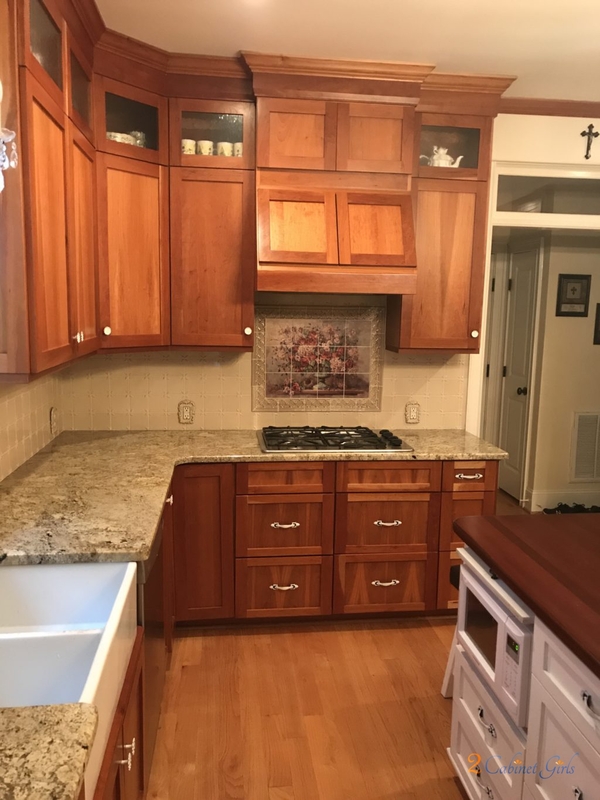 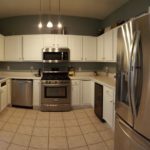 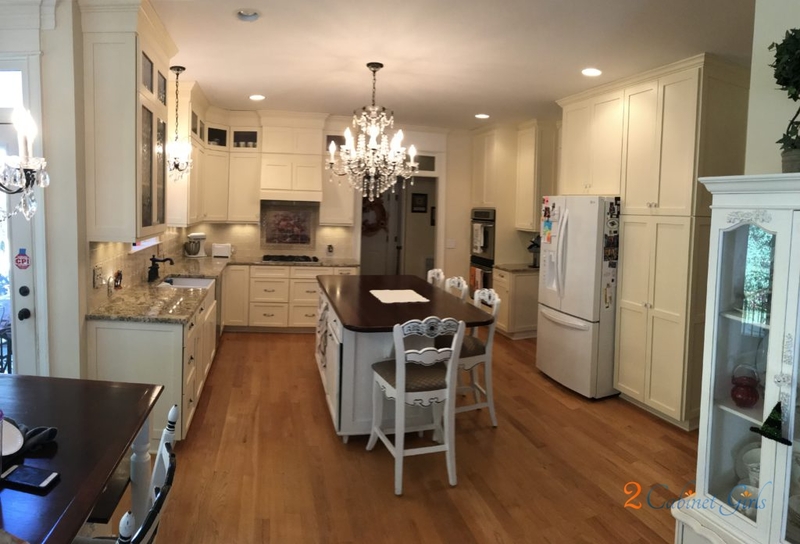 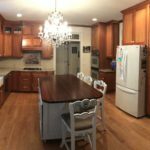 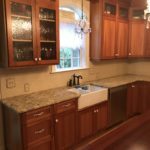 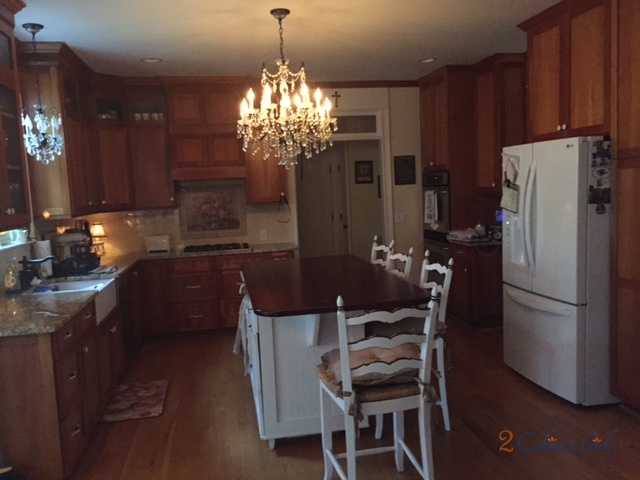 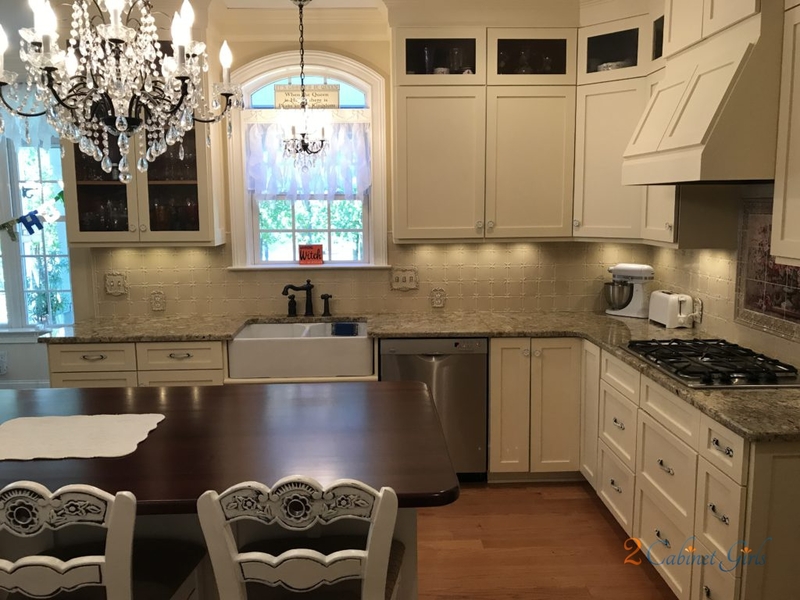 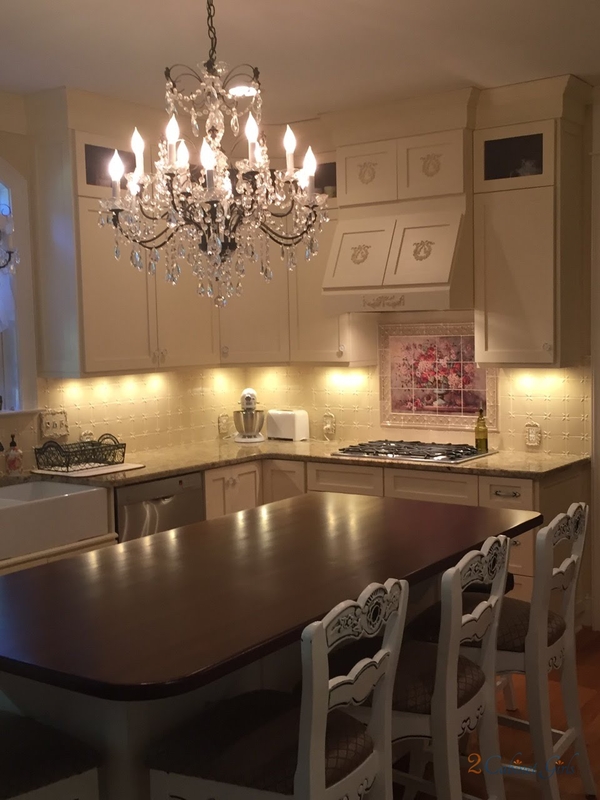 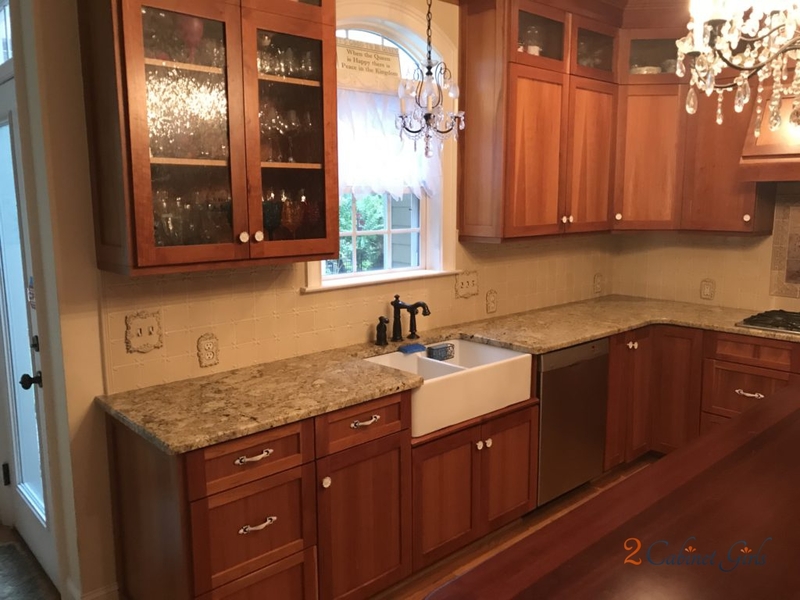 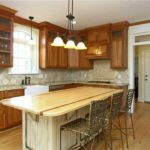 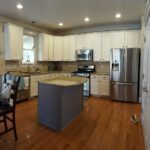 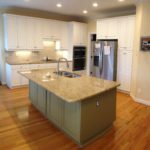 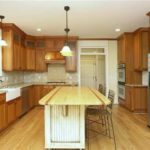 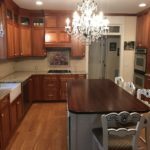 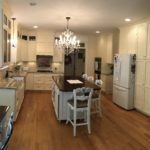 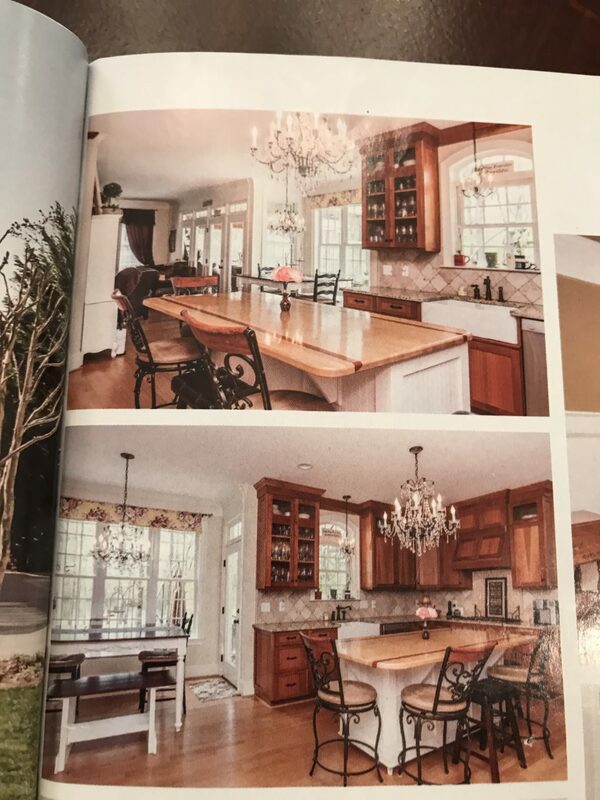 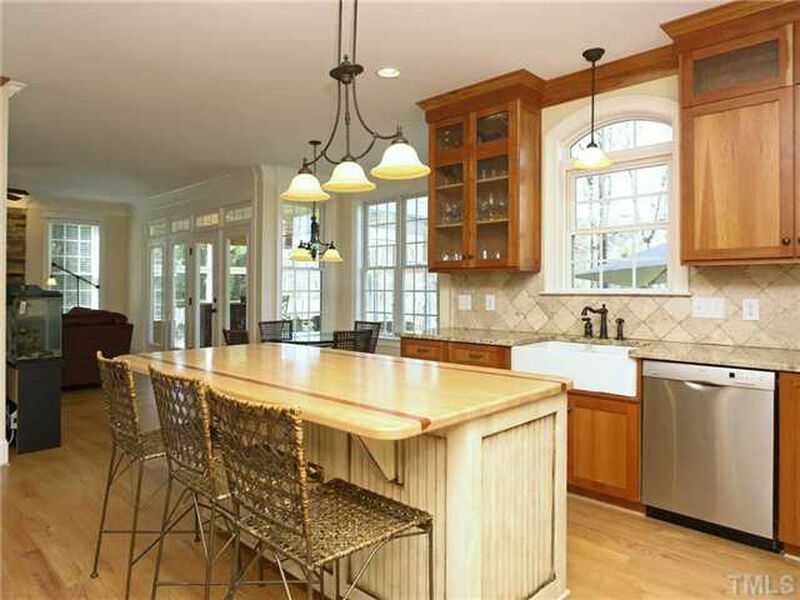 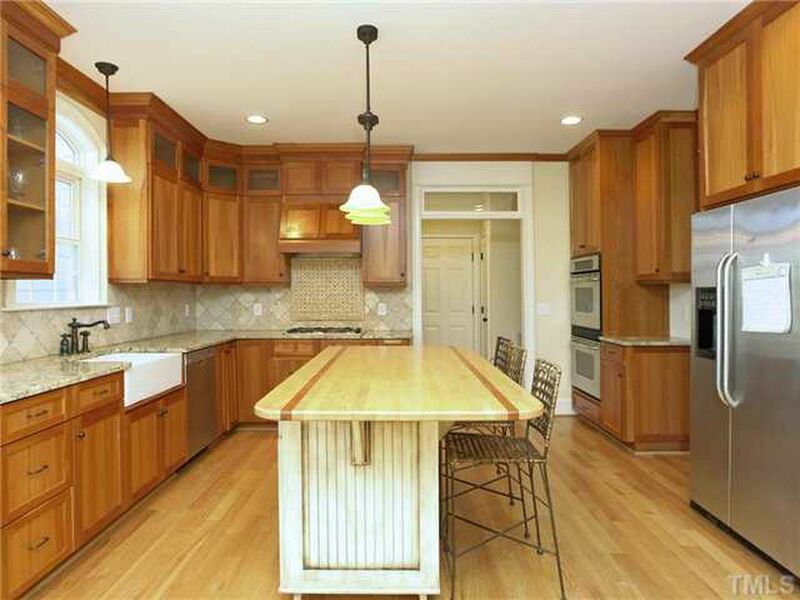 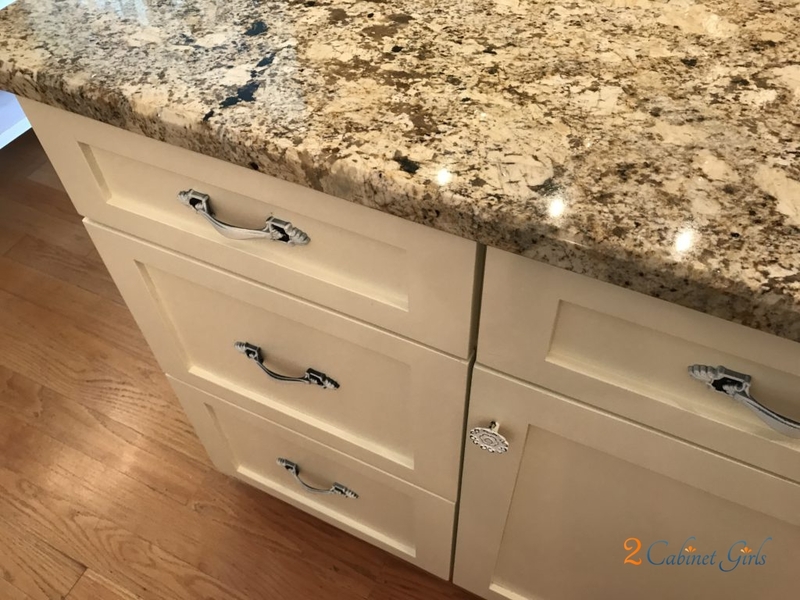 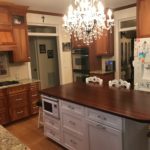 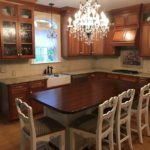 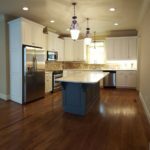 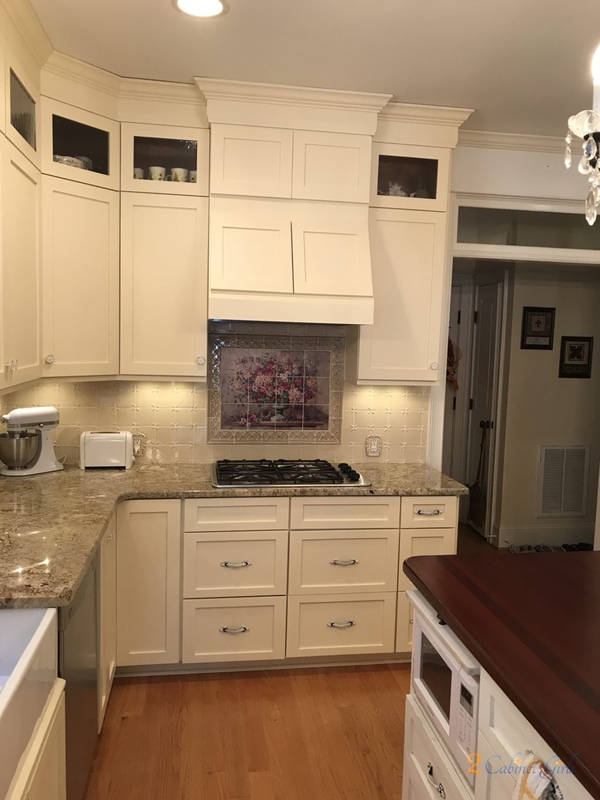 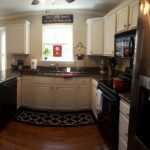 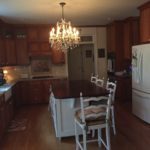 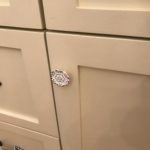 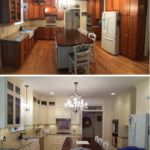 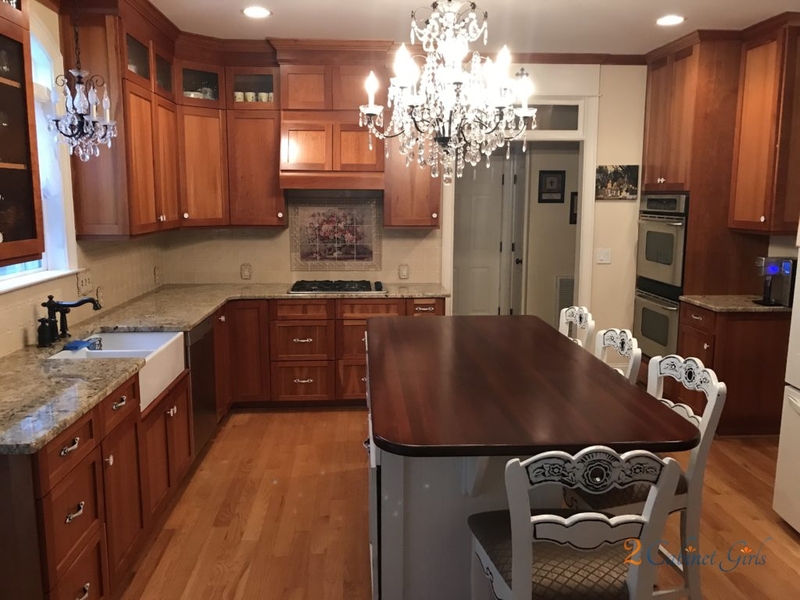 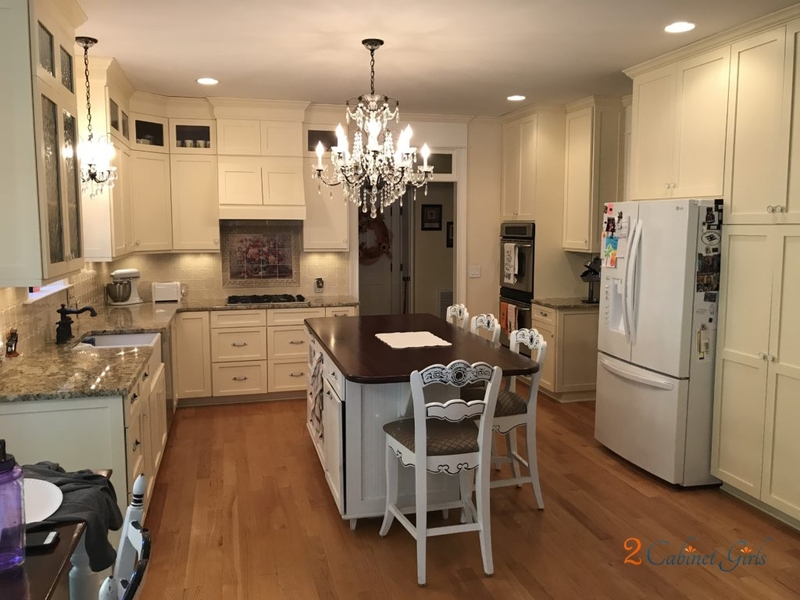 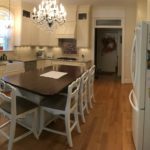 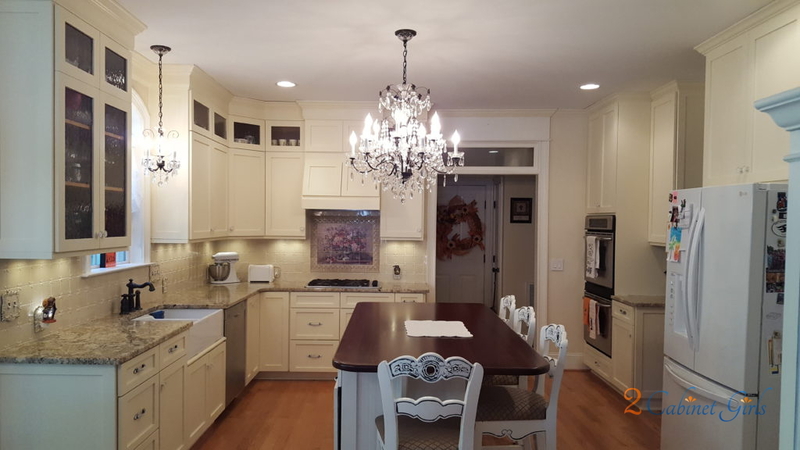 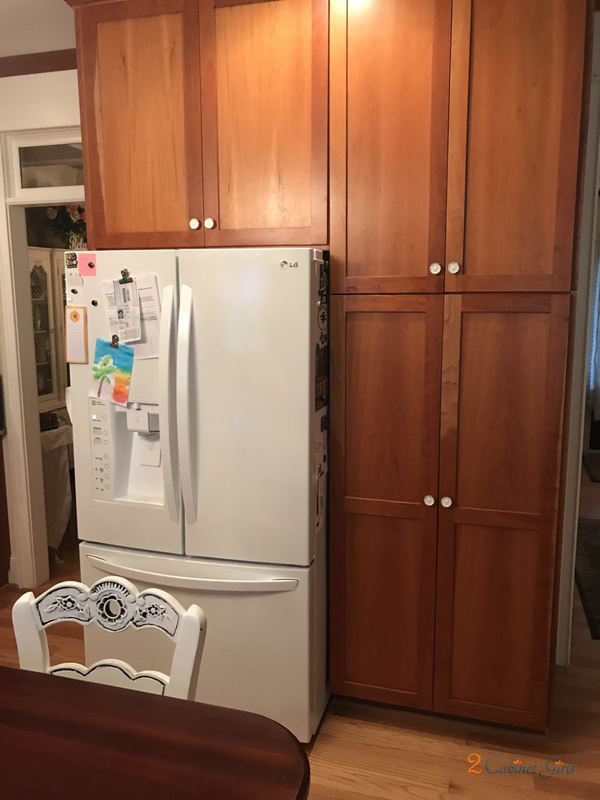 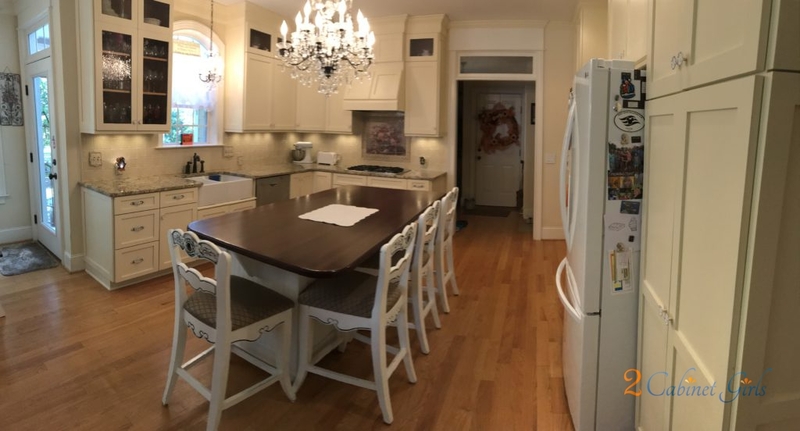 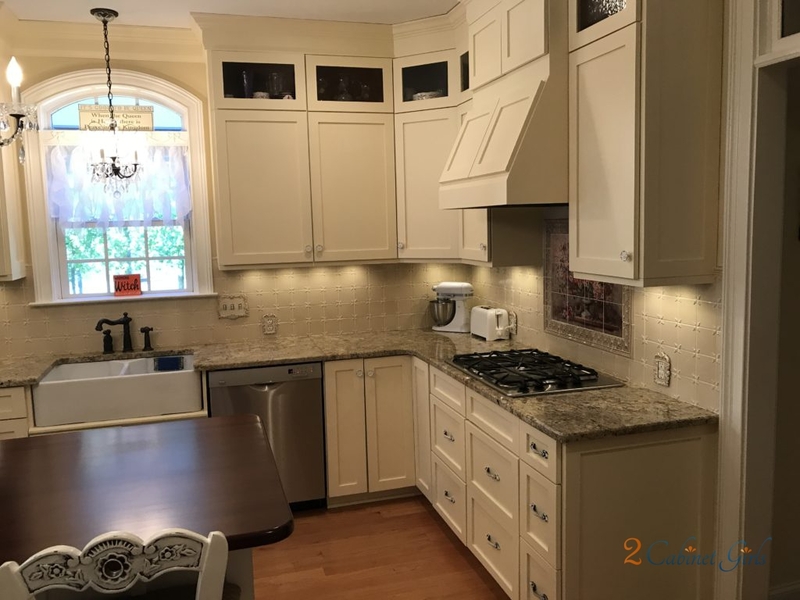 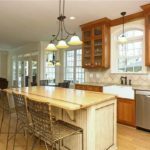 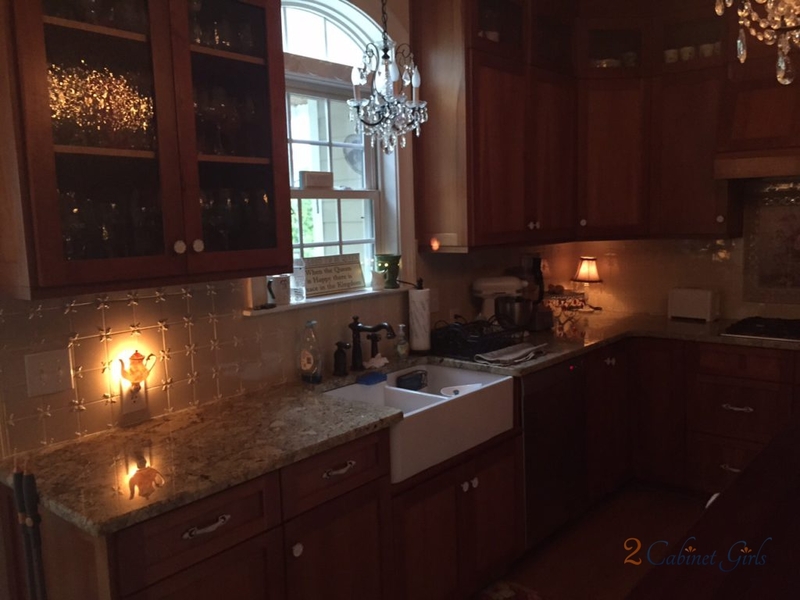 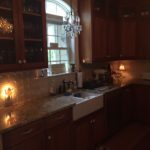 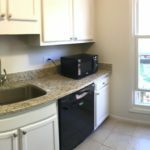 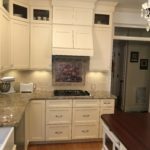 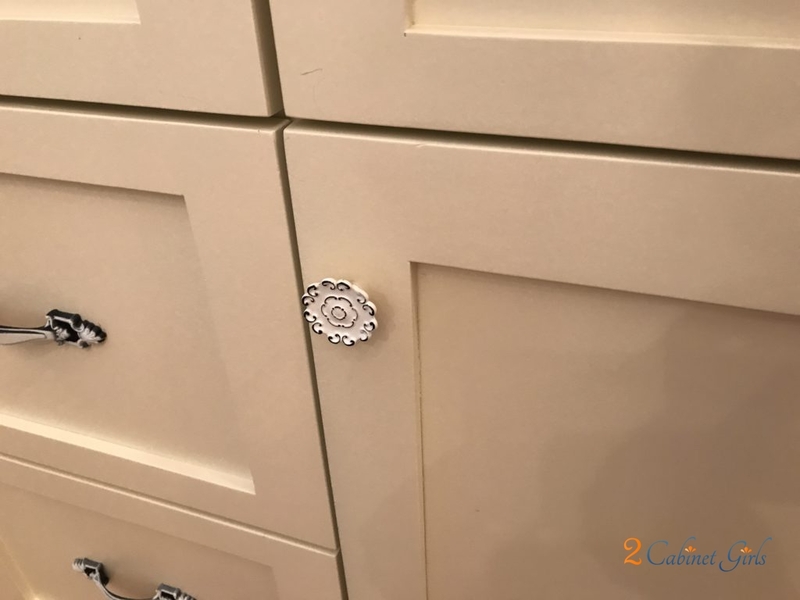 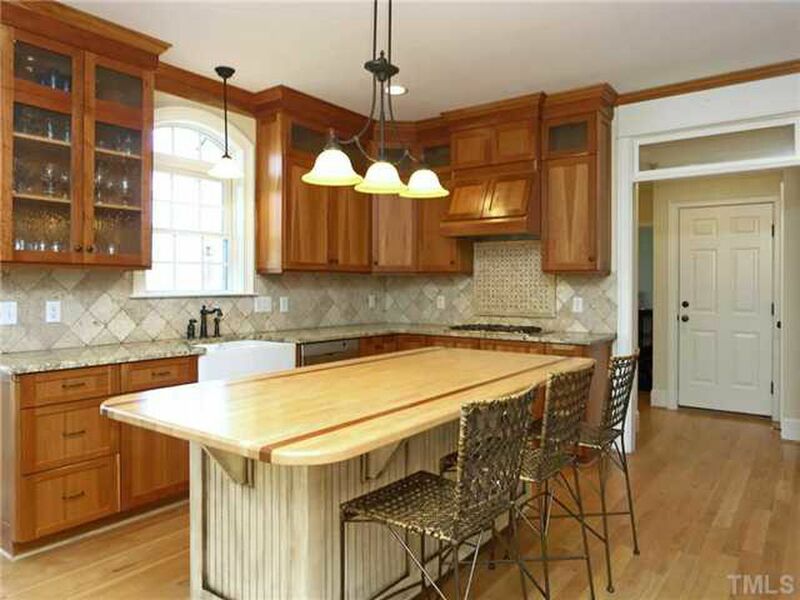 Our homeowners were looking to create a Shabby Chic feel in their kitchen. 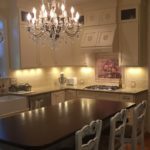 Soft and romantic. 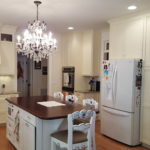 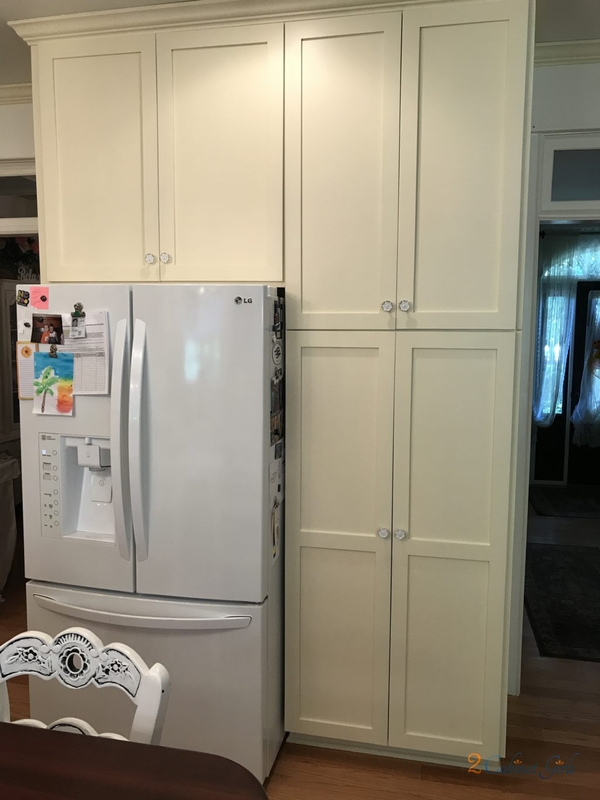 Using Cauliflower Cream (from McCormick Paints) totally helped us achieve that look! 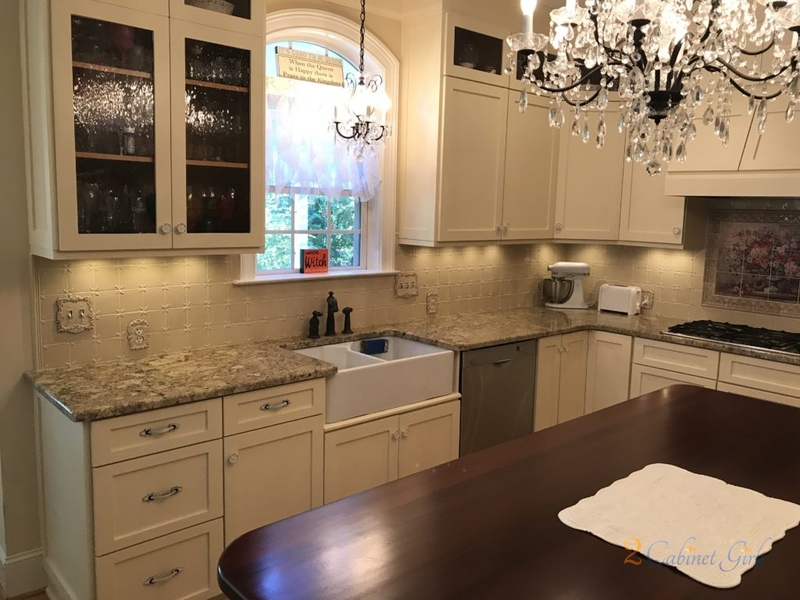 It’s a super soft buttery yellow, and it blended perfectly with the tile backsplash. 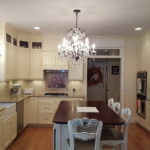 Now that amazing chandelier can take center stage!